A selection of pink gifts perfect for Breast Cancer Awareness. 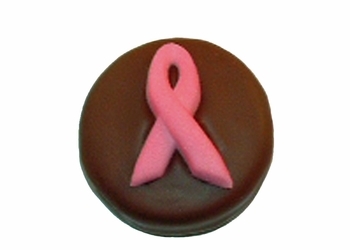 Pink Ribbon Oreo - 1 oz. Pink Heart Pouch - 1.5 oz.